Last month, I advised against buying Rite Aid Corporation (NYSE:RAD), and I remain skeptical about the prospects for RAD stock. In my article, I noted a multitude of problems with Rite Aid stock. RAD does not look particularly cheap relative to other drugstores such as Walgreens Boots Alliance Inc (NASDAQ:WBA) and CVS Health Corp (NYSE:CVS). The fact that Rite Aid is highly indebted as helps muddy the picture. Finally, although Rite Aid plans to sell nearly half its stores to Walgreens and use the proceeds to reduce debt, this will make RAD smaller and reduce its bargaining power. However, I did note that the retail sector has been savaged by investors, and many firms currently trade at low valuations. Valuation is half the picture in value investing — you want to buy good companies at low prices. The retail sector, being badly beaten down, might prove to be a target-rich environment for the savvy value investor. Investors are rightly worried about the impact of Amazon.com, Inc. (NASDAQ:AMZN). The result, for many retailers, has been slow growth, stagnation, even bankruptcy. Many retailers, such as Borders and Circuit City, have fallen. But the market sometimes overreacts, and may now be punishing even the retailers that continue to see growth. In my last article, I recommended buying Express, Inc. (NYSE:EXPR) stock instead of Rite Aid stock. EXPR trades at low valuations and looks like a bargain. EXPR stock fell until Aug. 23, when it beat on earnings and soared 19%, but pessimistic sentiment has since forced it back down a bit. I think EXPR stock will rise again, but I wanted to call attention to another alternative retailer to RAD stock: Zumiez Inc. (NASDAQ:ZUMZ). Zumiez looks better than Rite Aid in terms of financial health and valuation, and I don’t think the deal with Walgreens will change this. Rite Aid is a heavily indebted company, with a debt-to-equity ratio of 12.92. Zumiez owes no debt and holds $76.5 million in cash, accounting for nearly a quarter of the company’s market capitalization. Over the trailing twelve months, Zumiez earned $23.6 million in net income, compared to a loss of $66.7 million for Rite Aid. RAD released some pro forma information showing that after selling stores to Walgreens, the new company would have earned $93 million in the twelve months ending on March 4, 2017. And Rite Aid was cash flow negative over the past twelve months, while Zumiez generated some $27.4 million in free cash flow. Admittedly, RAD generated $23.76 million in free cash flow in the most recent quarter, while Zumiez posted a $2.45 million deficit. Zumiez also scores better than Rite Aid on two additional measures of financial health: the Piotroski F-score and the Altman Z-score. As for valuation, we need to be careful when choosing what metrics to look at. Market capitalization doesn’t give us the whole picture. RAD’s market capitalization of $2.54 billion is much lower than the debt it owes: over $7 billion. We should instead look at enterprise value, which adds a company’s debt and subtracts its cash balances. This gives Rite Aid stock an enterprise value of $9.57 billion, compared to just $237 million for ZUMZ. And look at their book value: $305.57 million for ZUMZ versus $560.63 million for RAD stock. This gives ZUMZ an EV/book ratio of 0.77, compared to a whopping 17.07 for RAD. Also, analysts expect Zumiez to grow its earnings-per-share at a 20% compound annual growth rate (CAGR) over the next five years. This low valuation and projected growth makes Zumiez stock look more attractive than Rite Aid stock. 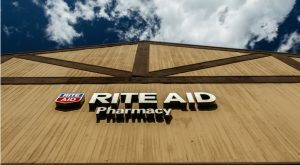 Article printed from InvestorPlace Media, https://investorplace.com/2017/09/rite-aid-corporation-rad-stock-alternative/.